It is very good to take a "Term Plan" from the financial protection scenario you are expecting. There is no refund for the amount to be paid in the term plan, but the amount of premium can be minimal. If you think some good things about living income of your living home loan and car loan, it is imperative that your family has a fixed term plan for the amount of time your family runs. Suppose a 30-year-old person has life insurance of Rs. 1 crore for a life insurance policy of Rs. 20000 / - and for some reason, the income generated by this person for a year is closed after the payment is not completed, the policy may be closed or the commission will be closed or the amount of premium should be paid by the friend. Rs per month It might be difficult to get 20000 / -. However, if this person takes the term plan of Rs.1 crore, the payment of the installment will be only 300 to 500 rupees per month. If the income is less than a few days due to some reason and for some reason, it can be possible to arrange payment of the installment amount in any manner and avoiding the disbursement of payment policy / penal action, insurance cover of insurance continues uninterrupted. Man is very emotional when you are investing his earned money in the market. Trying to earn a better return in the future to achieve your financial goals. Bull Market has a great advantage when investing in the stock market. On the other hand, bear market investment has suffered huge losses. If you are a small investor, it is very difficult to survive in a recession. Therefore, the mutual fund helps in such situations. Mutual Funds combine the money of many small/big investors and manage money through the experts, researchers, analysts, such experts. The holders of all the fund units are benefited by their knowledge and experience. It is important to know how to invest in a Mutual Fund. MUTUAL FUND TO INVEST IN How to invest in a mutual fund. Now you have seen how the mutual fund works. Now you will see how and where to invest in a mutual fund for better returns. 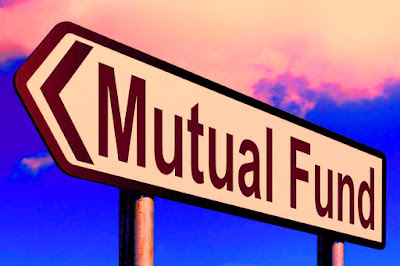 What are the requirements for investing INVEST IN MUTUAL FUND? It is compulsory to have the name of a bank account in the name of the same person. Both MICR and IFSC are required. Both of these things are printed on a bank check. ID card: - PAN card, Aadhar card, passport, voter identity card or driving permit license. Address proof: - Telephone bill, electricity bill, gas bill / passbook, bank passbook, passport copy, etc. All copies of the above documents should be photocopied and copied. (self attaested) and application must be accompanied by a standard document which can be displayed on demand. If there is no original document, it is necessary to make it true copy by the concerned officer. KYC status can be checked online on KYC registration agency website. There are 3 options to invest in a mutual fund. Growth, dividend, and dividend reinvestment. You have to choose one of these options. Growth: You do not get a dividend in this option. Increasing investment leads to growth. The unit holder does not get anything. Increases in NAV of units. The difference between investment NAV and NAV at the time of sale is profit or loss. Dividend income Dividend Payout: Income from investments is distributed through dividends. If there is a debt fund, then it receives a monthly, quarterly, half-yearly, or annual dividend. If there is an equity fund, then dividend returns when it is announced. Dividend yields only if the fund has the advantage. Dividend Reinvestment: Instead of giving a dividend to the unit holders, units of that price are paid, which means the dividend is reinvested. Where to buy a mutual fund. Buying a mutual fund can be done in many ways. Online or offline, directly or in regular types of schemes. Direct Plan: This fund can be purchased without any intermediary. These funds are available from 1st January 2013. Click here to know more about this. Regular plan through an intermediary: Such types of investment are made through an intermediary. Banks, financial advisers, stockbroker companies or distribution companies play an intermediary role. All these arbitrators are registered with AMFI. All the things required for investment are mediator. Directly investing in AMC: Going directly to AMC's office can be invested by completing other forms by filling in the form. Investment Based on Website: Nowadays, most of all AMC's funds are sold online through some websites. These websites provide all kinds of facilities online. Through Bank: Banks distribute all AMC funds around. You go directly to the bank and invest in a mutual fund. By Demat Account: If you have a demat account, then you can invest in online mutual fund. Avengers: Endgame is an up and coming American superhuman film dependent on the Wonder Funnies hero group the Vindicators, delivered by Wonder Studios and set for circulation by Walt Disney Studios Movies. It is the immediate spin-off of 2018's Vindicators: Unendingness War, a spin-off of 2012's Wonder's The Justice fighters and 2015's Vindicators: Period of Ultron, and the 22nd film in the Wonder Artistic Universe (MCU). The movie is coordinated by Anthony and Joe Russo with a screenplay by Christopher Markus and Stephen McFeely and highlights a group cast including Robert Downey Jr., Chris Evans, Imprint Ruffalo, Chris Hemsworth, Scarlett Johansson, Jeremy Renner, Wear Cheadle, Paul Rudd, Brie Larson, Karen Gillan, Danai Gurira, Benedict Wong, Jon Favreau, Bradley Cooper, Gwyneth Paltrow, and Josh Brolin. In the film, the enduring individuals from the Justice fighters work to invert the harm brought about by Thanos in Boundlessness War. The Disney-possessed Wonder Studios discharged the last trailer for Justice fighters: Endgame on Thursday morning, giving fans the last see of what will no uncertainty be one of the greatest film of 2019, if not ever. The continuation of a year ago's Vindicators: Limitlessness War unites the legends who endure "The Snap," a staggering demonstration by the uber scalawag Thanos, bringing about the passing of billions. Endgame finds such scraps as Iron Man (Robert Downey Jr.), Dark Widow (Scarlett Johansson), and Commander America (Chris Evans) recuperating from the loss of their companions, and battling with the eventual fate of their supergroup. The eventual fate of Endgame, which opens April 26, is eminently increasingly guaranteed: Early film industry expectations put the motion picture's opening-end of the week count at about $282 million. That would be higher than the record-setting $257 million earned by Interminability War the previous spring. That film proceeded to make more than $2 billion around the world. Together with 2015's Justice fighters: Time of Ultron, the three Vindicators films have made almost $5 billion around the world. Endgame likewise denotes an uncommon minute in 21st-century establishment filmmaking, as Wonder will adequately finish off significant pieces of the Justice fighters story, as opposed to proceed with new portion—in spite of the reality the arrangement is as yet rounding up millions. Huge numbers of the performing artists who've been a piece of the Wonder films are required to bow out with Endgame, including Evans, who apparently said goodbye to his Commander America character with a tweet the previous fall. Downey's agreement allegedly lapses with this most recent film, too. Starting last May, Disney head Bounce Iger noted he hadn't precluded another Justice fighters passage. In any case, regardless of whether Endgame fills in as the last appearance for such characters as Top and Iron Man, Disney and Wonder don't need to start fussing at this time. The just-discharged Commander Wonder just delighted in a huge opening end of the week, and this late spring sees the entry of Insect Man: A long way From Home. Future portions featuring Specialist Abnormal, Dark Widow, and the Gatekeepers of the System are underway, also. The film was reported in October 2014 as Justice fighters: Endlessness War – Section 2. The Russo siblings went ahead board to coordinate in April 2015, and by May, Markus and McFeely marked on to content the film. In July 2016, Wonder expelled the title, alluding to it essentially as Untitled Justice fighters film. Recording started in August 2017 at Pinewood Atlanta Studios in Fayette Region, Georgia, shooting consecutive with Boundlessness War, and finished in January 2018. Extra recording occurred in the Downtown and Metro Atlanta regions and New York. The last title was uncovered in December 2018. Pradhan Mantri Shram Yogi Mandhan Pension Scheme launches. Prime Minister Narendra Modi launched this scheme. Those who join the scheme will receive a pension of Rs 3,000 after the age of 60 years. This scheme is for the workers. Registration of the scheme has started on 15th February. During this period, the Prime Minister also released the cards to the beneficiaries. This plan was announced by Interim Finance Minister Piyush Goyal during the budget. For this, an amount of Rs. 500 crores have also been allocated in the budget. 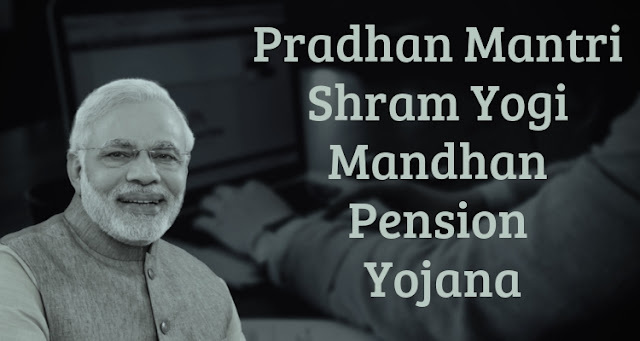 The main goal of the Pradhan Mantri Shram Yogi Mandhan Pension Scheme is to provide security to people working in the unorganized sector after retirement. 11.5 lakh beneficiaries have been associated with this. So far 13.5 million rupees have been deposited in this. Prime Minister Narendra Modi has given a similar amount to the Government of India. Gujarat, Haryana, and Maharashtra are among the top registrars. The government expects 100 million workers to join this scheme. In many places, the registration of the Prime Minister's Labor Valuation Pension Scheme has also begun. A large number of people are registering for this. Know who will be eligible for this scheme and how you can take advantage of it. According to the Labor Ministry, workers up to 40 years can get registration for this scheme. Upon completion of 60 years of age, the registered person will receive a pension of Rs. 3 thousand every month. The workers in the unorganized sector who earn 15 thousand rupees per month will be involved in the scheme. This is the condition of its eligibility. If someone joins them at the age of 18, then they collect only 55 rupees per month, while a 40-year-old person will have to deposit 200 rupees every month. The 29-year-old will have to deposit 100 rupees per month to join the scheme. You have to pay this amount till the age of 60. This should not be under 18 years of age. The amount of money you deposit will be deposited by the government in your name. Any person who joins this scheme must have an account in the Aadhar card and bank. It can be registered by going to the Common Service Center. If you have registered your registrations, this will be your application. You can get information about this scheme at 1800 2676 888 toll-free number. In the scheme, people with Rehadi, rickshaw pullers, construction workers, garbage collectors, bead makers, handlooms, agricultural laborers, cobbler, wash workers, leather workers, and such people can participate. Those who come in the National Pension Scheme, Employees State Insurance Corporation Scheme or Employees Provident Fund Scheme, will not be eligible for it. Income tax filling holders will also be ineligible. The government will create a pension fund for this scheme. All this will be given to the pension through this fund. If a worker dies during the planning, then his wife can contribute to the scheme and continue it. If his wife or husband wants to get out of the plan on the demise of the worker, then he can withdraw it with interest on the total amount given to him. If someone's pension has begun and after that, he dies, then his spouse's pension will get 50% of the pension. 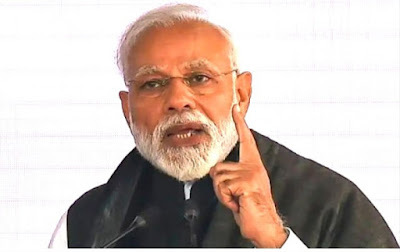 The foundation of the Indian economy is strong, and at the same time, Prime Minister Narendra Modi believes that the country's economy will reach the household of 5 trillion dollars in the near future. He said that India is the only country in the world to reach an annual growth rate of more than seven percent. India is currently the sixth largest economy in the world with about 2.5 billion dollars. The Prime Minister, who is on a tour of South Korea, met some businessmen, More than 600 companies like Hyundai, Samsung and LG Electronics are doing business in India, he said. Some of these new companies have been involved in the investment process. The Prime Minister said the Indian policy was relaxed due to visa and business. He said that in the last four years, the country has made a direct foreign investment of $ 250 billion. He also mentioned the indirect tax reforms that have increased the country's position place to 77th in world rankings. 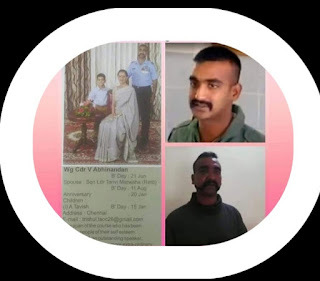 Revenge of the Pulwama terror attack, the Indian Air Force destroyed the terrorist base in POK. This is the first time that India has attacked such a form of 1971. 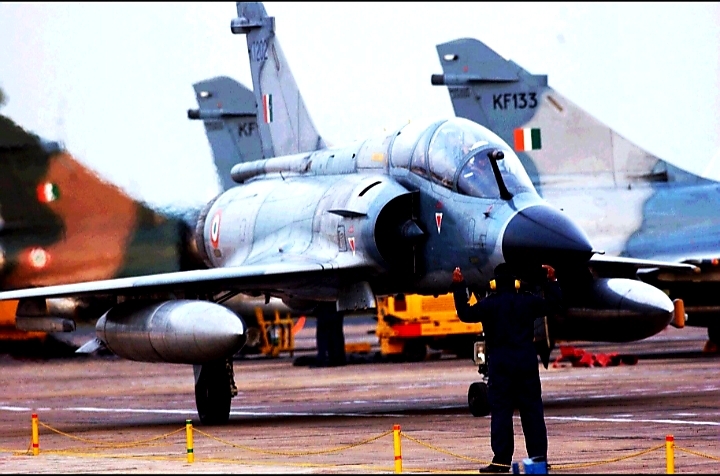 The Indian Air Force's 12 Mirage-2000 aircraft took the historical action. As well as throwing 1000 kg of bomb at three places of Jaish . We will learn about the characteristics of aircraft and what are they. This aircraft is made by Dasu Aviation. Rafal fighter aircraft has also been made by this airline. These aircraft also got a deal in India and France. French Dasone Mirage 2000 was created to replace Mirage III. This aircraft has been developed as a light but powerful fighter jet. Mirage 2000 was the first aircraft to take the aviation debit in 1970. This aircraft is the fourth generation aircraft featuring multirol single jet engines. The aircraft's Mirage 2000N and Mirage 2000D screw variants were also made. The technology of this aircraft has been changed from time to time, on demand. So far, 600 Mirage 2000 aircraft have been produced. Also 9 countries are using these aircraft in their defense forces. Mirage fighter aircraft DEFA 554 is equipped with automatic cannons. This gun has been planted 30 mm revolver. The cannons have firing capability from 1200 to 1800 rounds per minute. In October 1982, India had ordered 36 single-cylinder Mirage 2000 HS and 4 Twin Seater Mirage 2000 TSs. In this, the meaning of H is Hindustan. - Single shaft engine is used in Mirage-2000. This engine is lightweight and similar to the other fighter jet. The fighter jet is usually the only one pilot. But, as per the requirement, two fighter pilots can also travel. - The length of the aircraft is 14.36 meters and the width of the wings is 91.3 meters. The weight of the aircraft can be 7500 kg and weighing 17,000 kg can also be used on take off. - The maximum speed of Mirage-2000 is 2,336 km per hour. Once the tank is ready to travel upto 1550 km without stopping for full blown. - Mirage-2000 can be equipped with a laser guided bomb, air fighter and airborne missiles. * Registered protest *: According to the International Law and according to the Geneva agreement, despite knowing that no person should be shown indecently, it is a matter of condemnation that photos of Rumors are being sent from Pakistan. copyright©2018 Money Indian Economy - All Rights Reserved.